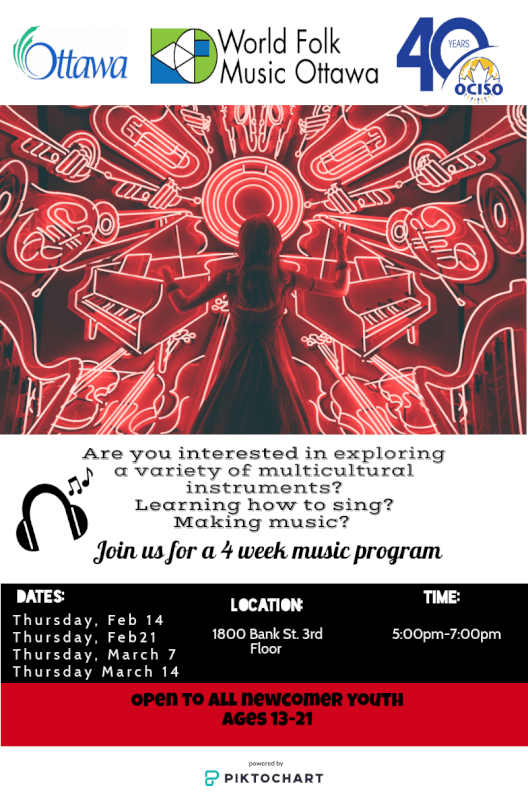 YOCISO has partnered with World Folk Music Ottawa for a 4 week program in which the youth will learn to play instruments from many different cultures while incorporating singing and rapping. This workshop is open to all newcomer youth ages 13-21. Join us and learn music while having fun! !